Nymphs in rivers are successfully fished on a slack line drift using a strike indicator. This is because nearly all river nymphs either cling to rocks or crawl, very few actually swim. Wade fisherman will typically cast them upstream and let them drift downstream using mends to keep the line slack and the fly fishing "drag free" with no tension. Another method is using a dry dropper method. Nymphs in rivers are successfully fished on a slack line drift using a strike indicator. This is because nearly all river nymphs either cling to rocks or crawl, very few actually swim. 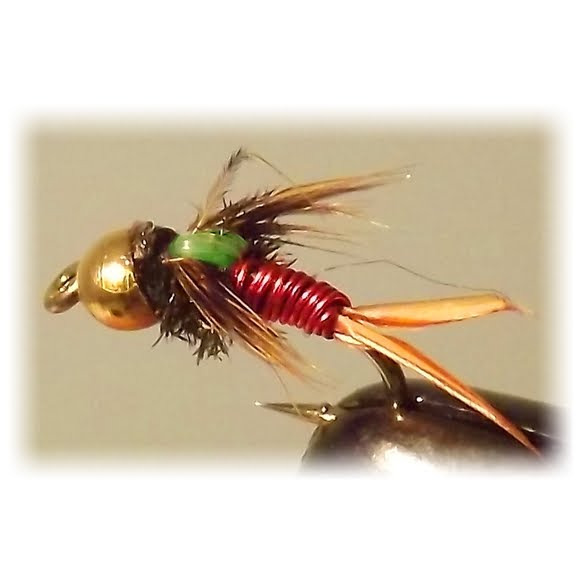 Wade fisherman will typically cast them upstream and let them drift downstream using mends to keep the line slack and the fly fishing "drag free" with no tension. Another method is using a dry dropper method. This is where you use your dry fly as the strike indicator and tie the nymph on underneath it. Our new patterns are out and ready for the upcoming season. If you are in Montana, the snow pack is above normal which really looks great for another productive fish on season. We are keeping prices as low as we can with the same great quality!